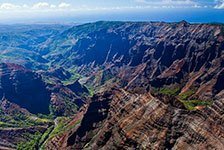 Waimea Canyon is known as the "Grand Canyon of the Pacific" and truly lives up to that name. 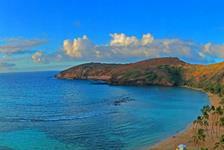 Located on the western side of Kauai, Waimea Canyon is a must-visit. See breathtaking views from the lookouts or go hiking to see the beauty of the canyon that's up to 3,600 feet deep. 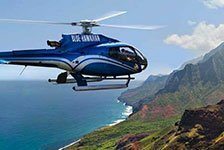 Book a Waimea Canyon tour and leave the planning up to the professionals. They'll take you to the best spots in the canyon so you won't have to worry about driving and parking.